Avengers assemble! 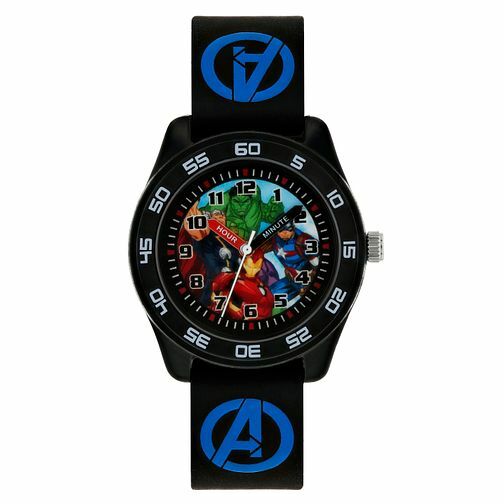 Make learning to tell the time a magical experience with this fun Avengers rubber strap watch. The dial is split in to two handy sections, teaching children the correct terminology for telling the time. Your little one will not want to take off this stylish watch. Avengers Black Case Black Rubber Strap Time Teacher Watch is rated 5.0 out of 5 by 1.